While Miami is quite a sprawling city, there are a number of certain neighbourhoods which particularly appeal to tourists. 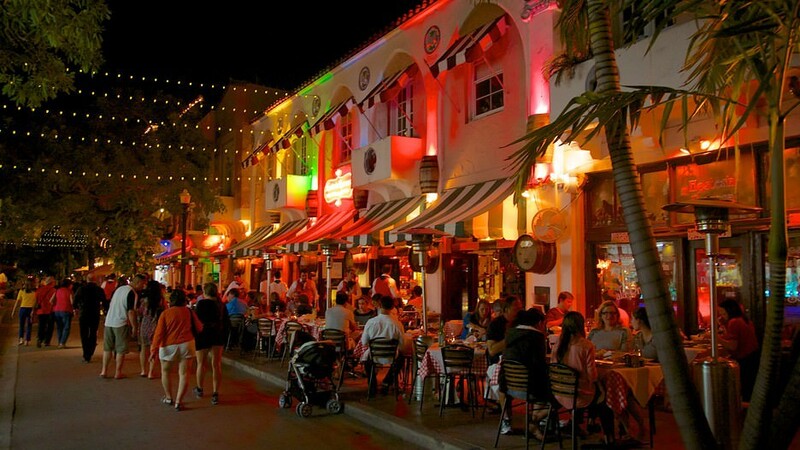 Little Havana and Little Haiti are two such regions where you will literally feel like you have been transported to another country during your time there. Pubs, restaurants, shops and markets all bear the trademark characteristics of their native lands making for some fascinating sightseeing. But, as everyone knows, Miami’s principal allure lies in its world-renowned beaches. Miami Beach, South Beach, Haulover Beach, Mid-Beach – well you get the picture. There are lots of them, each one more impressive than the next. And, where there are beaches there are water sports so take advantage of the wonderful fishing, diving, surfing, snorkeling, water skiing and sailing facilities on offer. And for the land lovers among you why not hike it or bike it through some of the most picturesque sea and landscapes that the US has to offer. Those of you feeling a little lazy or who have simply spent too much time partying can always take the easy way out by boarding one of the many cruise boats on offer so don’t worry – we make it almost too easy. Add to this the fascinating Art Deco district, the excellent shopping facilities and the endless glimpses at millionaire’s mansions and you’ll soon see what makes it such a memorable destination. Within less than an hour drive of Downtown Miami you will find the Everglades National Park – a subtropical wetlands home to an abundance of wildlife, most notably the feared alligator. On day tours you get to see the creatures up close and personal and from one of the famous airboats on the River of Grass. This is definitely one thing you don’t want to miss during your stay in Miami. A collection of over eight hundred buildings in an area which is less than a square mile, the Art Deco district is one of the most visited in the city. Begin your tour at the Welcome Centre where you can avail of a guided tour or you own audiotape tour. Home to over ten thousand items of police equipment including Florida’s infamous electric chair, ‘Old Sparky’. Also features some artifacts from movies made in the region including the car from Blade Runner. Quite an interesting place to while away an afternoon. This building was originally built in Segovia in Spain in the twelfth century but was bought by the American businessman, William Randolph Hearst who had it completely dismantled and shipped to the states. Once the pieces arrived stateside it was reconstructed and is now the oldest building in the western hemisphere. Renowned all over the world this marine wild life park really brings the ocean to life. With amazing killer whale, dolphin and sea lion shows the most famous sea creature in the aquarium is the TV dolphin star – Flipper. A really enjoyable attraction for the young and old. The former home of the famous American industrialist, James Deering, this villa built in 1916 in the Italian Renaissance style consists of over thirty rooms containing the antiques and artefacts which he gathered during his travels. Also has ten acres of amazing gardens which provide a welcome escape from the hustle and bustle of Miami city life. Now here is a wildlife park with a difference where the monkeys themselves roam free and the human visitors are behind bars – so to speak. This is the perfect opportunity to see the animals at their most entertaining while you stroll up and down the enclosed paths throughout the sanctuary. Formed from a coral quarry back in 1923 this pool is included in the National Register of Historic Places and received a major revamp in 1989. Featuring two waterfalls, coral caves and grottos as well as a natural lagoon this was once the playground of the movie stars but is now frequented by locals and tourists alike. Conceived and created by the holocaust survivors living in the region, this memorial was officially opened in 1990 and consists of eleven areas including a meditation garden, numerous sculptures and a memorial wall. Admission is free and it’s open from 9.00am until 9.00pm daily so it is well worth a visit. Part of the Florida International University, this museum is located right in the heart of the historic part of Miami beach and houses over seventy thousand objects dating from the modern era (1885 – 1945). Focusing on how art reflects human experience some of the permanent displays include collections of Russian political propaganda and London subway signs.